We noted earlier today that Impact Wrestling has debuted a new four sided ring to replace the six sided ring previously used in the company. The ring apron sported a Twitch advertisement, and according to PWInsider.com, a deal is in place for Impact to begin airing content via Twitch. 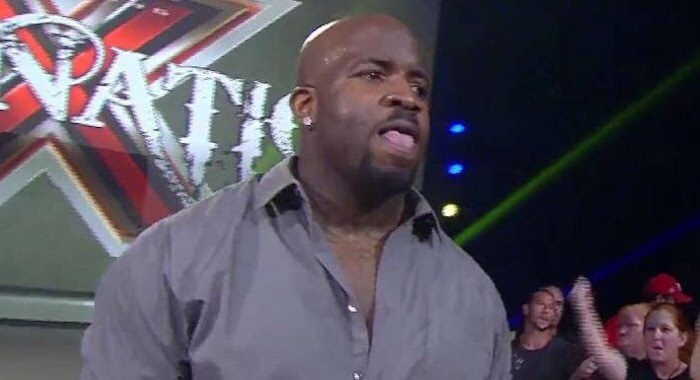 PWInsider is also reporting that Impact Wrestling star Moose suffered a knee injury during a Fatal Four Way match at tonight’s tapings. As of now the belief is Moose did not tear anything, but we should know more on the injury once an update becomes available. As noted, former WWE star and Impact Wrestling World Champion Austin Aries made his return to Impact at tonight’s TV tapings and defeated Eli Drake to become the new Impact Global Champion. ImpactWrestling.com has released the following reacting to the return and title change. You can read complete spoiler results from tonight’s TV tapings at this link.